The original data of this data product are ASTER GDEM, which are provided by METI and NASA as the ASTER high-level product. Users must declare the producuer of the world grid square statistics for altitude as the Research Institute for World Grid Squares and the original producers of the data source are METI and NASA when they use this data product. 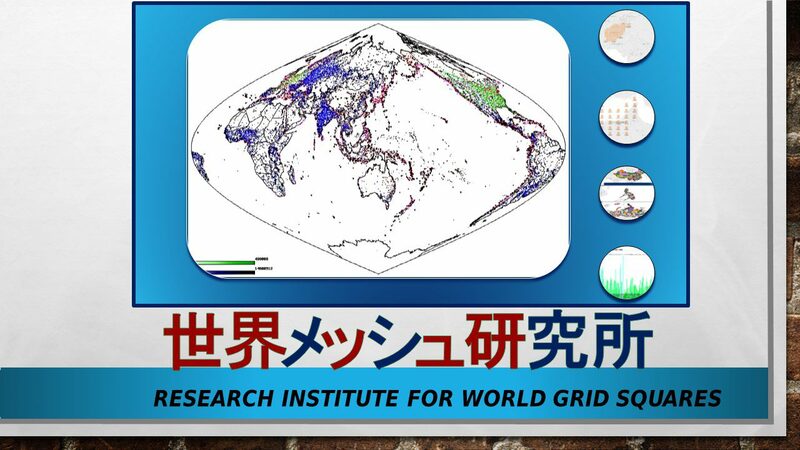 The Research Institute for World Grid Squares, NASA, METI, and J-spacesystems do not guarantee the quality and reliability of the data products and do not have any responsibilities for users’ losses and damages resulting from their usage. (c) METI, (c) NASA.